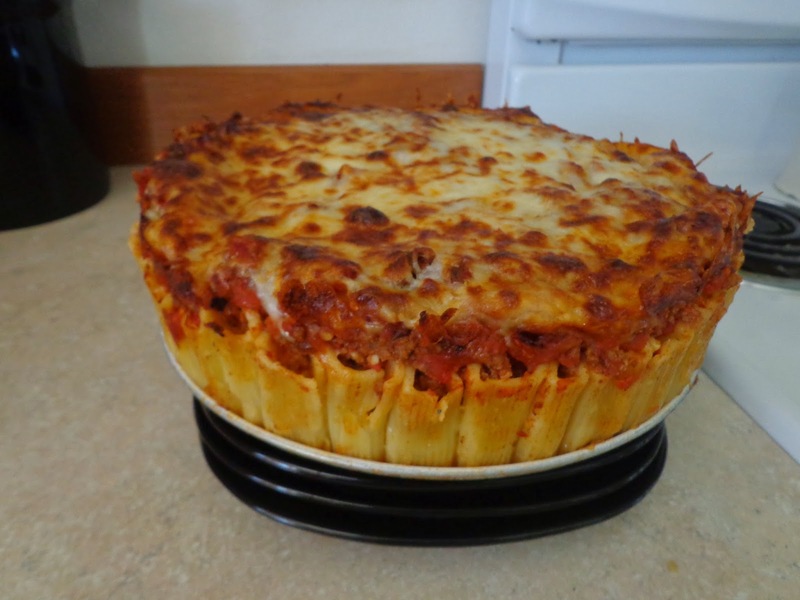 I found this delicious and super fun Rigatoni Pasta pie recipe on Pinterest. It sparked my interest, of course, because the pasta is standing up! 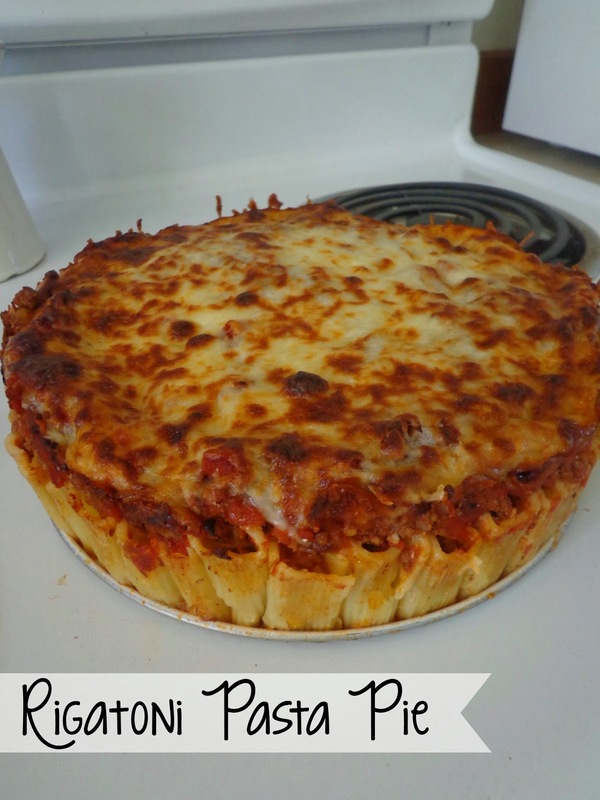 While the recipe is pretty basic, it is made really fun because of that vertical twist! I mean, really, how cool is this? First you are going to brown your burger, then add the garlic, red pepper and salt and pepper then sauté for a minute or two. 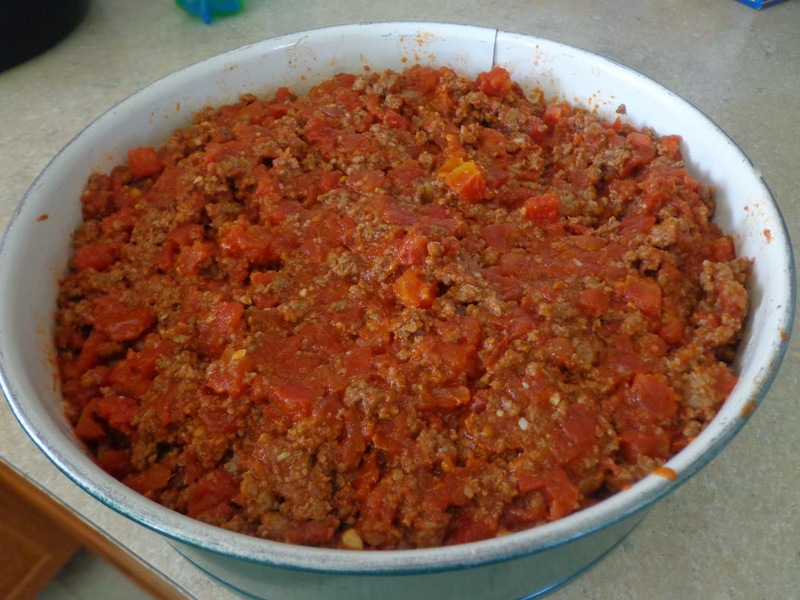 Add your crushed tomatoes. Simmer for 20 minutes. Meanwhile, boil your noodles until they are Al dente. Drain, rinse with cool water and then toss with Parmesan cheese. 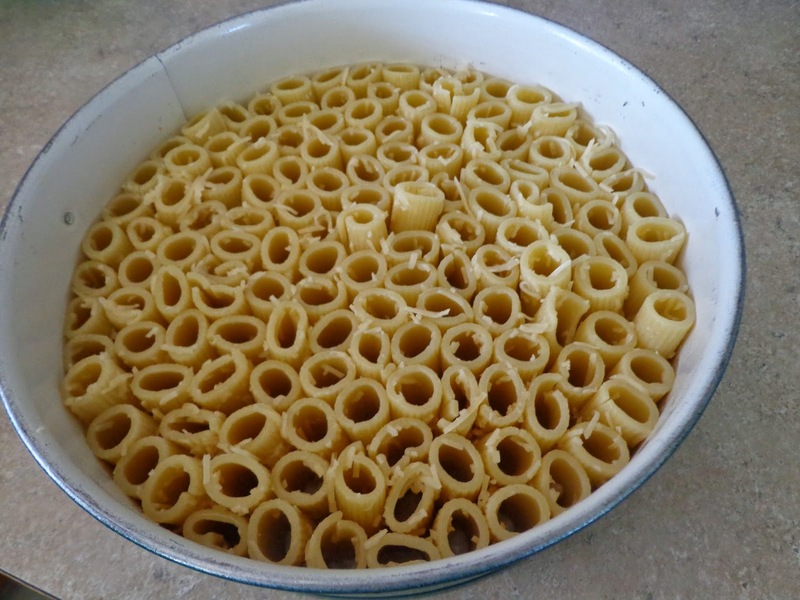 Lightly oil your spring form pan and then start packing in your rigatoni vertically. Make sure they are packed in tightly. Next, pour your meat sauce over the noodles, using a spoon to push the sauce into the noodles as you go. Lastly, you are going to bake on 400 degrees for 15 minutes. Then take the pie out and cover in mozzarella cheese and slide back in the over for 15 minutes or until the top is melted and nice and brown. Let stand for 15 minutes before serving. Run a knife around edge and pop off spring form pan. Brown turkey, Add the garlic, crushed red pepper, and a pinch of salt and pepper. Sauté another minute. 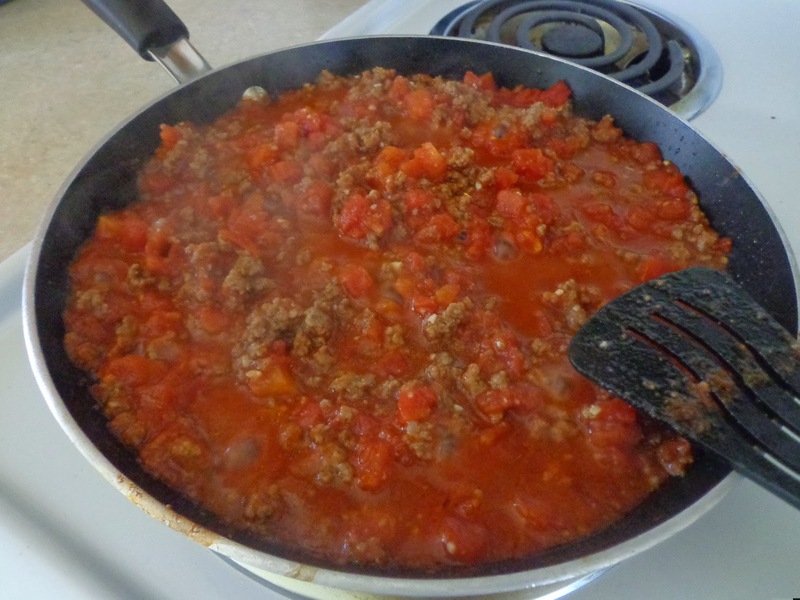 Then add the crushed tomatoes and simmer on medium until thickened, 20 minutes. 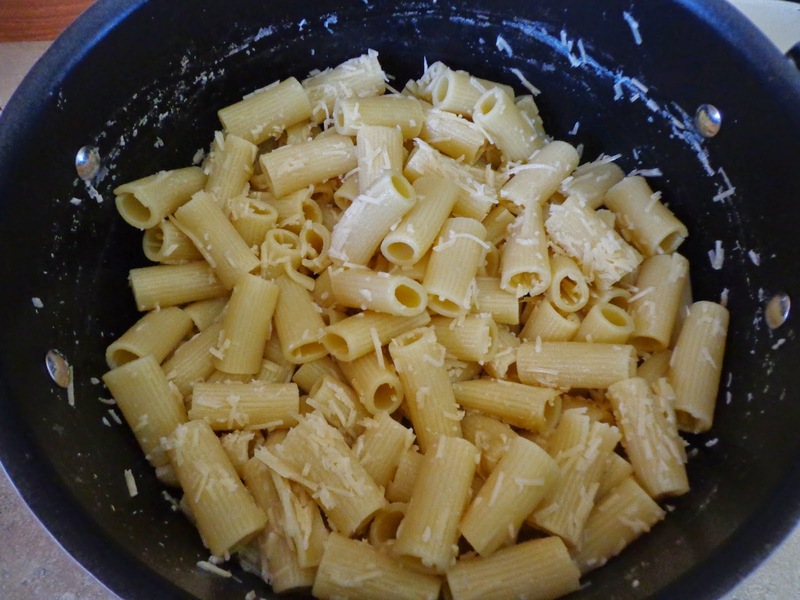 In the meantime, cook the rigatoni until it’s slightly underdone. Drain and rinse with cool water. Toss with parmesan cheese. Lightly oil a 9-inch spring form pan. Tightly pack the rigatoni in the pan, standing on their ends. Pour the meat sauce over the pasta. Push the meat down into the holes as best you can. Slide into the oven for 15 minutes. 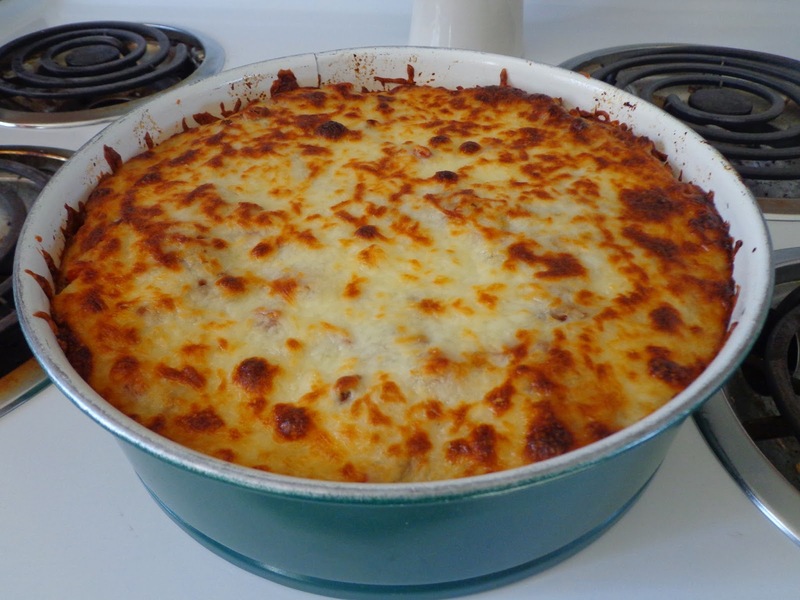 Remove, top with mozzarella cheese, and bake another 10 to 15 minutes, or until cheese is browned and bubbly. Let sit 15 minutes before slicing and serving! Uh-Maze-Ing! Doesn’t this look delicious? Excuse me while I go dive it!